Obama to banks: Do business with marijuana shops! Obama administration encourages banks to do business with government authorized marijuana dispensaries. Despite the fact that such firms are still illegal under federal law, it is legal in the same alcohol in the states Colorado and Washington. 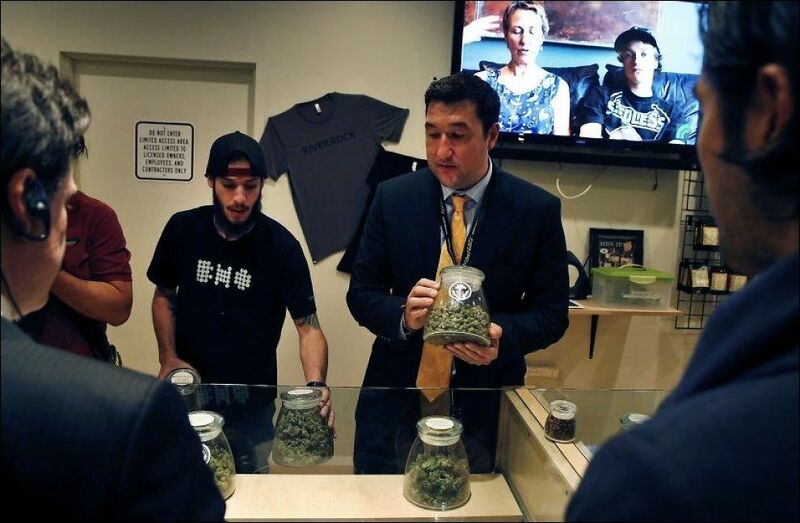 America’s first stores for free sale of marijuana opened in Denver, Colorado, on January 1 this year . In the US marijuana has become increasingly tolerated, and it has been possible to obtain the cannabis plant and its active substances on prescription in a number of states for a long time. President Barack Obama has even stated that marijuana is no more dangerous than alcohol . The political change of course is aimed at precisely these newly opened stores, which until now has only been able to receive cash for goods – which has made them vulnerable to thefts. – It’s a public safety element at this. Huge amounts of cash that are not put into a bank, which would have concerned me, says Attorney General Eric Holder. Bank Association American Bankers Association say they are skeptical that the guide will make no difference, since hashish sales still violates federal laws. By riverrockco|2016-05-04T20:27:50+00:00May 4th, 2016|News|Comments Off on Obama to banks: Do business with marijuana shops! Medical Marijuana: Do States Know How to Regulate It?